Time to renew your TNCC certification? Now you can prepare for a successful completion of your renewal on your own schedule — with less time in the classroom — with the TNCC 1-Day Renewal Course. 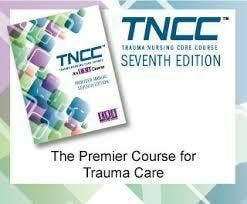 The TNCC 1-Day Renewal Course includes both self-study materials to help you prepare and one day of in-person review and testing.